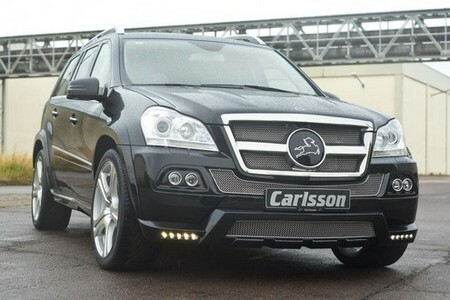 Carlsson must have got a bit carried away with this kit they’re made for the Mercedes GL Grand Edition. I mean just look at the huge chrome front grille. That’s not cool, at all. The rest of body kit however is alright. You get new fog lamps, mesh inserts, LED daytimers, side sills, flared arches, rear apron and quad tailpipes. The wheels on this car are the Brilliant edition 22-inch which are complemented with electronic suspension that is of course adjustable. There’s some leather and aluminum accents plus steel pedals included in the package as well. As for the engines, Carlsson gives the V6 diesel a hike to 310 PS and 700 Nm. They’ve also boosted the V8 engine to 435 PS and 600 Nm.